I just LOVE how Miss Cassandra used this die as a pretty frame! What a PERFECT gift this would make….don't you think? I just LOVE it! Cassandra your frame is BEAUTIFUL. Thanks for sharing. Awesome projects Cassandra! I love how you framed your in-laws here in the hearts. So precious! Excellent work! Good Morning Miss Emma just watched your video from yesterday....and what a great one it is too! Enjoyed all of your awesome creative ideas and hearing how you did everything. It was too sweet of you to talk about your extreme cares and concerns about your customers. It is frustrating when once it leaves your hands it's out of your control....but we all truly know it has nothing to do with what is at your personal end of things. I am always totally in awe of how you all handle everything anyways...you, your mama, dad, boys, hubby all go totally above and beyond always....YOU ALL ROCK!! Awesome design Cassandra! LOVE your project! Cassandra, what a beautiful project! I love how it turned out and what a thoughtful gift:) I am sure it will be treasured! Cassandra ~ Oh my I just LOVE this project! LOVE the idea, the colors and just the thought behind it! BEAUTIFULLY done like always! Emma ~ you and me both! Happy Friday! Whoo Hoo!!!! What a wonderful Alumni Guest Designer spot! No surprise there were great projects. 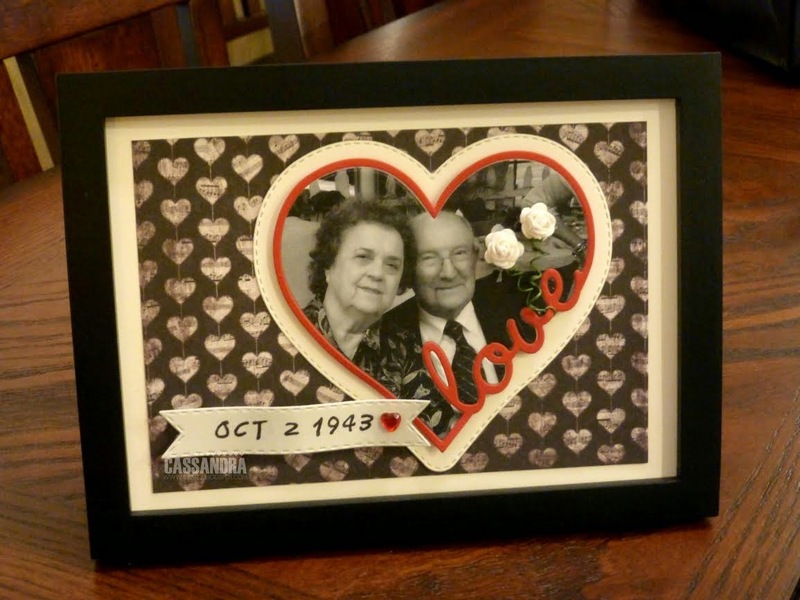 Beautiful cards and a fabulous frame...the love frame heart is so pretty and framed the picture perfectly! Love it.